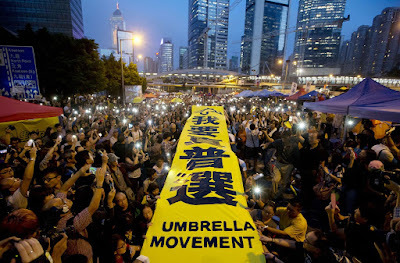 As we've mentioned many times on this blog, the Hong Kong government and Beijing do not understand what young people want for themselves and the city, equating localism with being unpatriotic. And now researchers at City University have confirmed this is wrong. A team of political scientists questioned the common conception that a rise in localism was making people feel "less Chinese" and "more like Hongkongers". The researchers concluded it was Hongkongers' mistrust of the central government, rather than a lack of a broader Chinese identity that prompted them to resist the motherland. 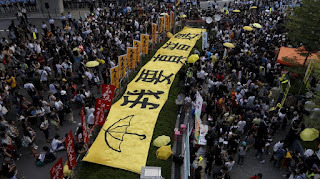 Official rhetoric has stepped up against localists, claiming they are "colluding with external forces" to advocate self-determination or independence for Hong Kong. On Sunday the head of Beijing's liaison office, Wang Zhimen, said the lack of a national security legislation was a "major weakness" for the city. 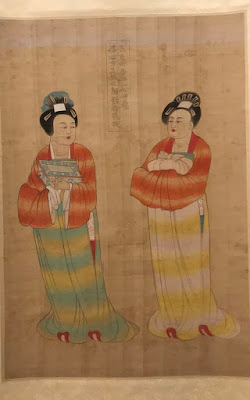 However, research leader Professor Linda Li Che-lan said, "There seems to be a common prejudice in the policy circles that local and national identities are in a zero-sum relationship. "Critics often equate localism with being unpatriotic. And some think people would love Chinese more if localism could be eliminated. This is very wrong." She warned Beijing against being bogged down by "misconceptions" and "misdiagnosis", and said top-down demands for patriotism risked pushing more Hongkongers into rejecting their national identity. In surveys, people were asked how strongly they identified themselves as being a "Hongkonger" or "Chinese" on a scale of 0 to 10. Scores for local Hong Kong identity hovered around 8 since 1997. 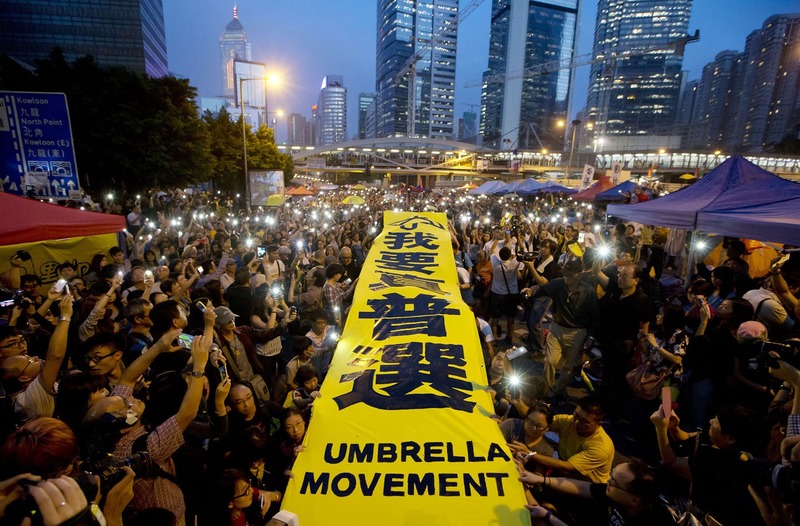 Even during the Occupy protests pushing for greater democracy in 2014 and the surge in localist sentiment in 2015 and 2016, people were still strongly attached to Hong Kong. What researchers found was a stronger Hong Kong identity meant a stronger Chinese identity and vice versa. "Hongkonger and Chinese identities are not an either/or thing," Li said. Her team found the biggest factor in the weakening of a feeling of Chinese identity in recent years was people's distrust in Beijing. "This very strong association suggests that... feeling Chinese and trusting the central government in Beijing has taken on an almost synonymous connotation for many Hong Kong citizens," the paper said. Li urged the central government to rethink it's policy on Hong Kong. 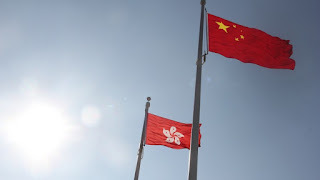 "Rather than stressing its overall control over the city or instilling nationalism, it should try to restore Hong Kong people's confidence in it." It's funny how it takes an academic paper to explain what we've known all along, but then again this doesn't mean the central government will really examine this paper either, perhaps thinking the researchers are biased. But it's true -- Beijing should not be ramming patriotism down Hongkongers' throats. It just doesn't work. Why can't the CCP understand that Hong Kongers have a pride in their city, their culture, their unique society - which has nothing to do with their pride in Chinese culture and China itself. Are the top CCP officers really THAT dim? Every great city, from New York and Rome to London and Tokyo has a pride in itself, in its people. New Yorkers are proud of being New Yorkers, and have often been upset and even furious about events that take place or policy decisions that come out of Washingon, but no one even thinks that this makes them un-American. Ditto for proud Parisians or town-proud Londoners. Beijing needs to relax and loosen up in how it deals with Hong Kong - if you treat this very savvy city as nothing more than an ATM for the Chinese economy, or worse, as some sort of mere colonial work camp of China's, you will not only NOT be respected by Hong Kongers, you will be treated with distrust and distain. And once that type of political sediment settles over the city, it will be almost impossible to remove. And you are then headed for years and years of troubled disharmony. And you will NEVER get Taiwan back. Well said, that man! Oh, and wanting self-determination is NOT the same thing as wanting to be completely independent! !